I read an article the other day that said over the last decade a large percentage of us have chosen to renovate our homes rather than move. With the economic issues that many of us face, and the huge costs involved in a move, it makes sense that we renovate and extend our current homes instead of relocating. I’ve written on the blog before of great inexpensive ways to add value to your home as well as the which of the bigger house renovation projects are most popular and find myself constantly looking back at these ideas and thinking more and more of how we could better use the space in our current home. Add on a separate utility room to house all the white goods, coats and shoes. Ok, so not too much to ask then! Of course we’d need an architect and plans drawn up which I find a little daunting but know it’s part of the deal. I’m always a little wary of things like this going wrong but guess we’d go on recommendation and referral. Plus it’s always good to take a look at a portfolio I think. It gives a good sense of what the architect’s vision is like, and how creative and innovative they are. I’m inspired by these images from Architect Your Home for example, which show real homes being extended and renovated in a stylish, contemporary way. This first one is great because I love the way they’ve created a seemless path to the outdoors. 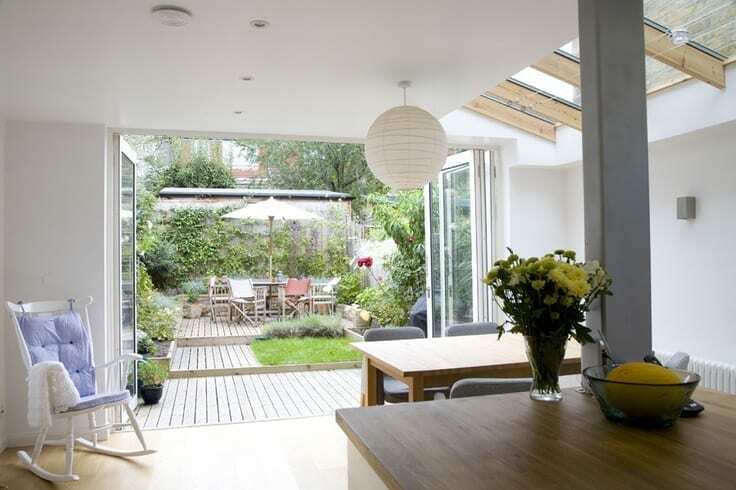 It almost feels like the kitchen is in the garden which I would love. 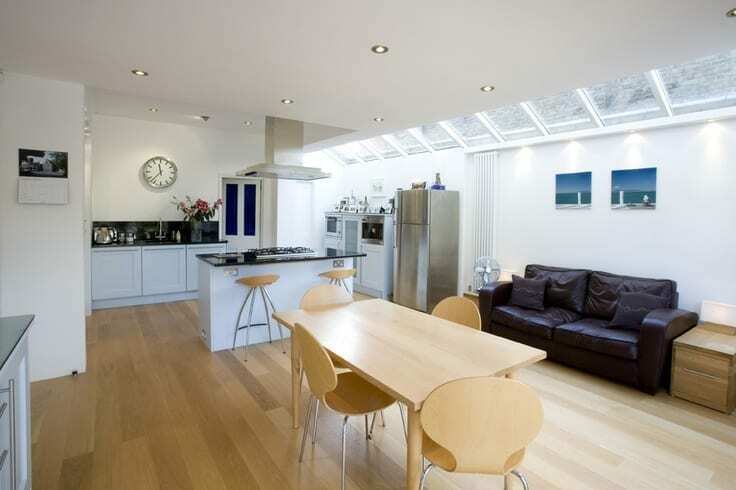 It’s a compact space but the side return extension and glass roof let the light flood in making it feel spacious and airy. This next one has created a big space that feels light and I love the way the flooring leads your eye downwards towards the garden. A very cool trick. Finally, you can’t see exactly from the image but again there feels like there’s a huge amount of natural flooding the room. I like the way this one has been designed to allow a pathway through to the doors and beyond. There aren’t any obstacles blocking your view to the outside allowing the space to feel bigger and more spacious. I could have shown you some amazing images that I found on Pinterest and the internet but what I love about these examples is the fact that they are real homes, not show homes. We all need some incredible home inspiration now and again but sometimes I need to see how my own home could really look if I was to undergo this kind of renovation. I hope you agree? What about you? 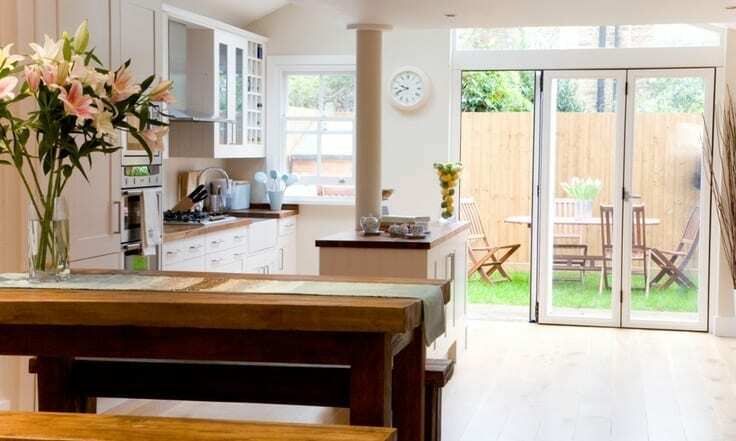 Have you undergone a kitchen extension? Was it a success? I’d love to hear from you if you have! Very beautiful kitchen ,the window are very useful to bring the light in .I like the table in wood ,a touch of the natural material always good for the decoration .